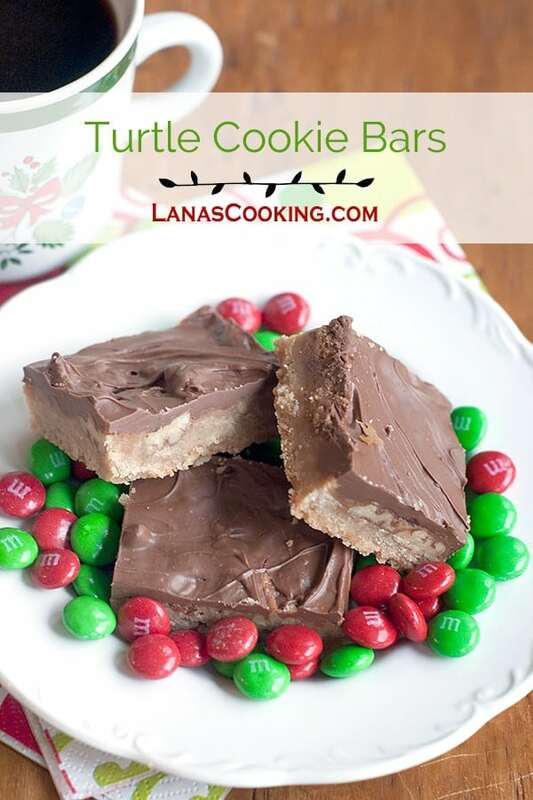 These Turtle Cookie Bars are full of pecans, caramel, and milk chocolate over a rich, buttery shortbread base. One of my all-time favorite candies is the famous Turtles. You know those, right? They’re beautiful little bites of luscious pecans and rich, thick caramel covered with milk chocolate. And that’s just what these bars are. The same things that make Turtles so delicious all baked on top of a buttery shortbread base. This recipe comes from one of my favorite old cookbooks called “Pines and Plantations” which was published back in the 70’s or 80’s. That cookbook is so well loved and so long used that I have to hold it together with a rubber band. The front cover was long lost and the back is holding on by a thread but it’s still one of my go-to volumes for tried and true recipes. 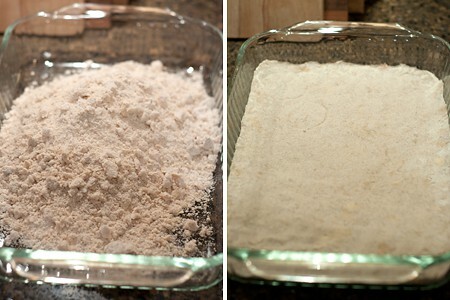 Combine the flour, brown sugar, and butter in a medium bowl. Stir together until well mixed. Pat the mixture firmly into an ungreased 13×9-inch pan. I use a glass pan for these bars only so that I can see how brown the crust is getting. You can use any 13×9 pan that you have. Sprinkle the pecan halves evenly over the unbaked crust layer. Prepare the caramel layer by combining the butter and brown sugar in a heavy saucepan. Cook over medium heat, stirring constantly, until the mixture comes to a rapid boil. 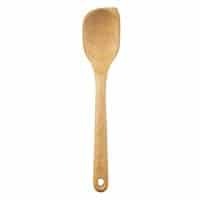 Continue cooking for 30 seconds to 1 minute, stirring constantly. Be careful not to let the caramel get too dark or burn. 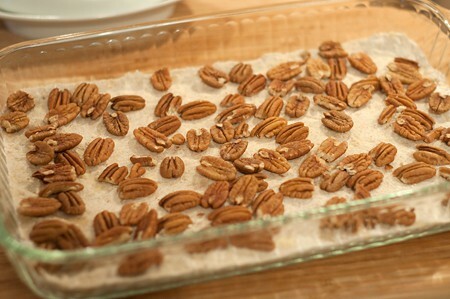 Pour the boiling mixture evenly over the pecans and crust. Bake for 18-22 minutes or until the crust is light golden brown. 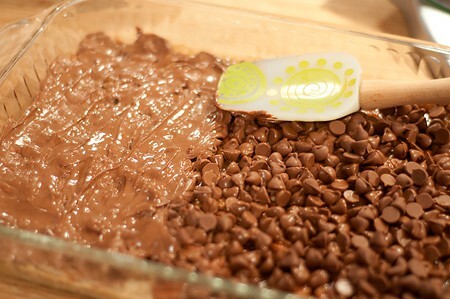 Remove from the oven and immediately sprinkle with the chocolate chips. Let the chips sit for 2-3 minutes or until softened. Spread the melted chips evenly over the surface. 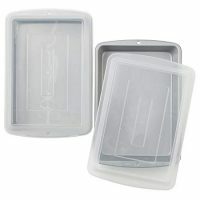 Allow to cool completely in the baking dish before cutting into bars or squares. 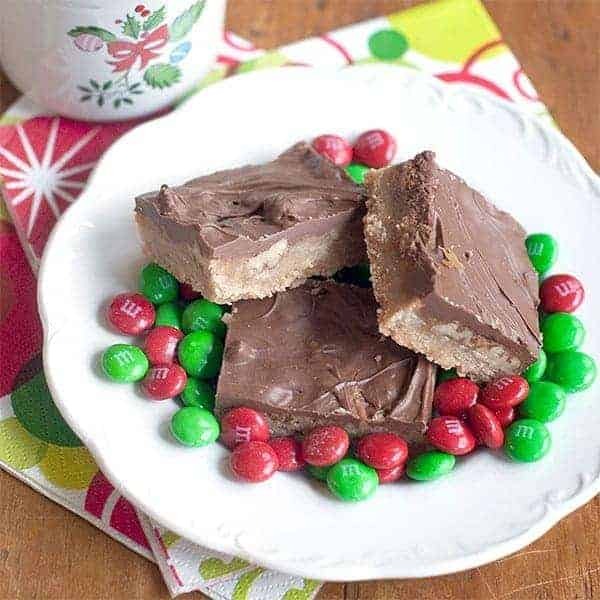 Like the famous Turtles candies, these cookie bars have layers of chocolate, nuts, and caramel on top of a rich, buttery shortbread crust. Preheat the oven to 350 degrees. 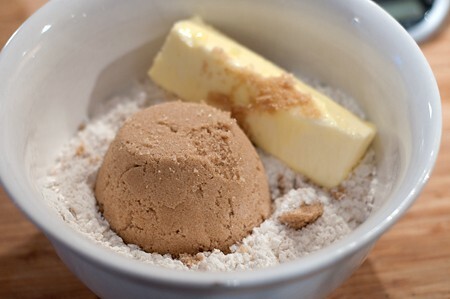 Combine the flour, brown sugar, and butter in a medium bowl. Stir together until well mixed. Pat the mixture firmly into an ungreased 13x9-inch pan. 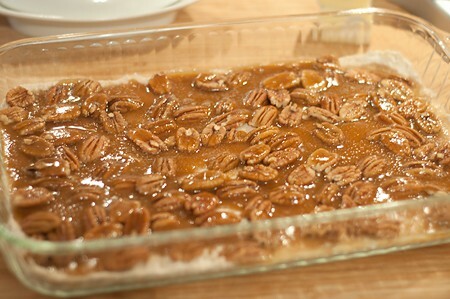 Sprinkle the pecan halves evenly over the unbaked crust layer. 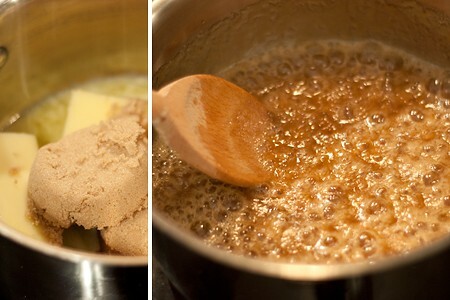 Prepare the caramel layer by combining the butter and brown sugar in a heavy saucepan. Cook over medium heat, stirring constantly, until mixture comes to a rapid boil. Continue cooking for 30 seconds to 1 minute, stirring constantly. Be careful not to let the caramel get too dark or burn. Pour the boiling mixture evenly over the pecans and crust. Bake for 18-22 minutes or until the crust is light golden brown. Remove from the oven and immediately sprinkle with the chocolate chips. Let the chips sit for 2-3 minutes or until softened. Spread the melted chips evenly over the surface. This recipe is from one of my favorite old cookbooks titled "Pines and Plantations." I love the short list of all my favorite ingredients. I’m going to try making this one. This recipe looks like something I can tackle:) Thanks for sharing. It’s really, really easy so I’m sure you’ll have great success with it. Enjoy! These great looking bars are cooling in my kitchen right now. I can’t wait to try one! I know my Family will love these next week. Thank you, Lana, for another great recipe! That’s great to hear, Sandra! I hope you all enjoy this treat. 1 – I also have that cookbook. 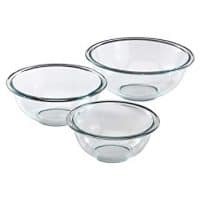 2 – I AM going to make these. 3 – I am obsessively making lists this week to try to get everything accomplished. I love that cookbook, don’t you? And I’m making lists, too, and running as fast as I can to get everything done. Thank goodness I’m off work! Who doesn’t love the flavors in turtles?! I’ll take 3!! I know! Who can resist Turtles, right? Where is my comment…did you delete it?